Why do I have cold spots in my radiator? Are you experiencing cold spots in your radiators? Cold spots can be caused by sludge buildup and dirty water passing through your heating system. This build-up can cause poor performance and even result in a boiler breakdown. To diagnose what’s wrong with your radiator, we take a look at where the cold spot resides. If the cold spot is at both the bottom and the top of the radiator, this is likely to be trapped air. Luckily, this issue can be fixed at home and doesn’t require a plumber to come out. To release the trapped air from your radiator you will need to bleed it. Use a screwdriver or a radiator key (depending on the type of radiator you have). If you require a radiator key and don’t have one, they are available to purchase in most local DIY stores. Cover the floor below with a towel or some cloth, some people like to place a bowl below to catch any water. Use the key and slowly turn the radiator valve anti-clockwise, you should hear a quiet hissing sound as the air escapes. Well done, you have successfully bled your radiator! Switch the heating back on and re-check the radiator for cold spots. Sludge build up, rust and dirty water passing through your heating system is likely the cause of this issue. In this case, the radiator will need to be removed from the wall and flushed out to get rid of the sludge trapped inside. To fix this at home yourself, you will need to purchase a sludge remover available from most DIY stores and flush the system yourself. If you have a pressurised system or if you’re not confident in attempting this yourself, it’s important to hire a gas safe engineer (view our gas safe profile here). 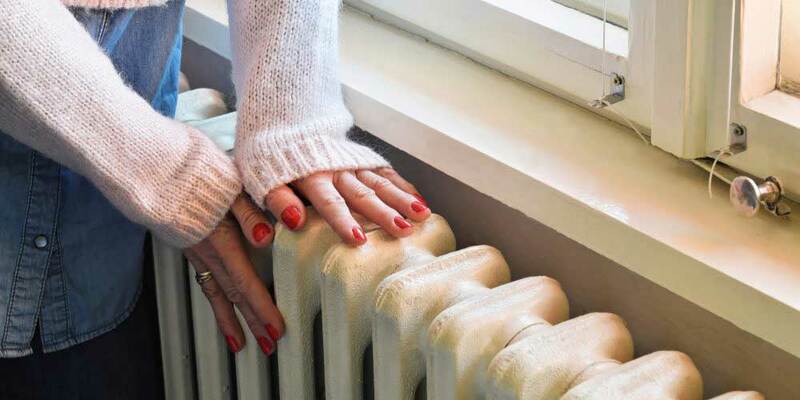 If the cold spots in your radiator are persistent, its time to call in the professionals to avoid a possible clog that could lead to a costly boiler breakdown. SR Coates Plumbing and Heating have a number of experienced and friendly plumbers in Oxford who would be happy to help restore your system back to good health. Contact our plumbers in Oxford today on 07850 399148 or 01865 862323 for helpful advice or to book your callout. Contact our Oxford Plumbers on 07850399148 or 01865 862323 for more information. Contact Today!